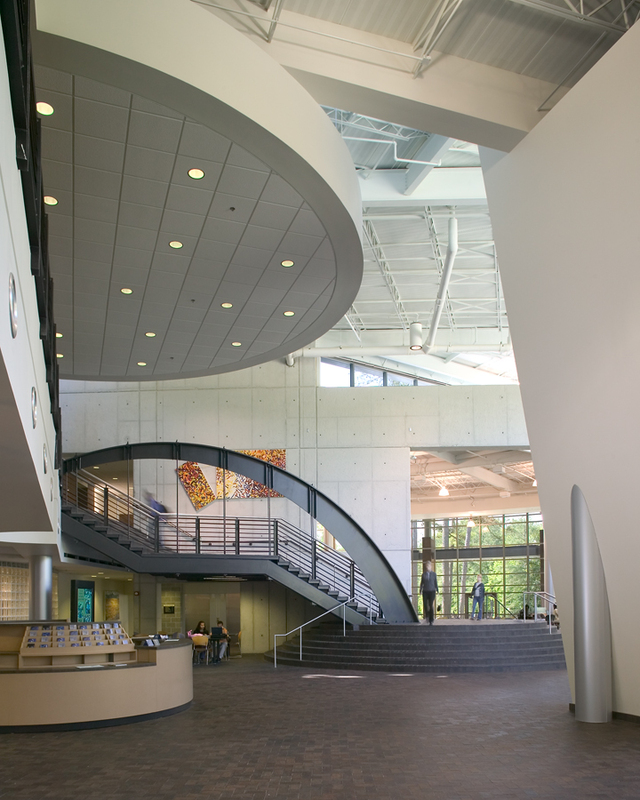 The Learning Center is a multipurpose facility that combines instructional space, meeting space, and student services under one roof. It contains high- tech classrooms, meeting rooms, distance learning rooms, a large multipurpose room and specialty project suites. Other features include a food court, a campus store, and student government offices. The welcoming and appealing design of this facility makes the center an accessible place for students and faculty to congregate.